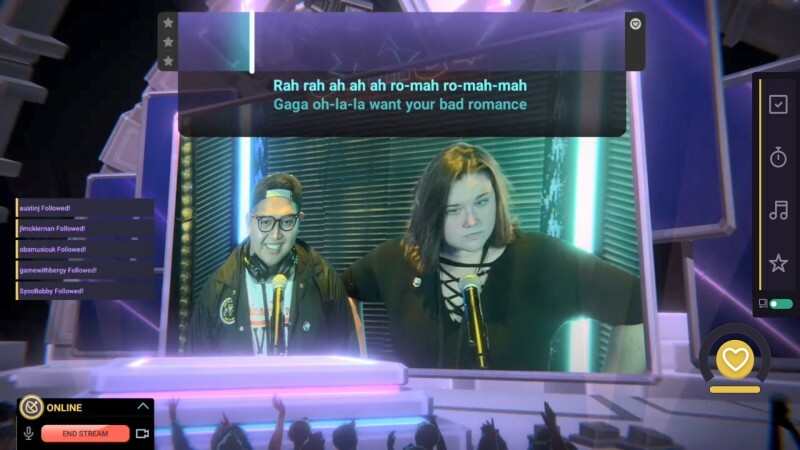 During TwitchCon, the streaming service announced a new karaoke initiative with music-game developers Harmonix called Twitch Sings. You can stream yourself singing along to music from Twitch's library of songs while an audience watches and judges you. In addition to judging you, they can pick vote to pick the next song, or let the chat control the effects going on around you. It sounds like a really cool idea and seems to limit audience interaction in ways that chat can't troll you, which is always a plus. Chat can challenge singers to do things like singing like sing a certain way or holding a note for some amount of time. 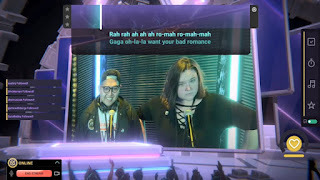 The actual karaoke function seems to be using Rock Band's gameplay mechanics, which explains the Harmonix collaboration. Players can sing in groups or individually, but a camera and a microphone seems pretty necessary for the entire experience. Beta sign ups are going on right here and lets you choose platforms of iOS, Android (coming soon), or PC. Twitch says their library of songs numbers in the hundreds now and will continue to grow, but licensing for the game will be something to keep an eye on.